Get help applying for financial aid and hang out with other students at tonight’s FAFSA Party at Campus Center this evening. The event is scheduled today from 6 to 8 p.m. in C225 and light refreshments will be served. The event is geared toward current freshmen who plan on enrolling for the 2019-2020 school year. Organizers hope to schedule other events for other students. Students who will be attending are asked to RSVP so organizers can get an idea of what technology, food and space will be required but it is not mandatory. Those attending will get help with filling out their FAFSA (Free Application for Federal Student Aid) form that’s required of students seeking most forms of student aid. 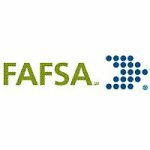 FAFSA applications for the 2019-2020 school year began today, Oct. 1, but students are advised to file for aid as soon as early as possible because certain funds are limited. The FAFSA not only determines your eligibility for federal aid, but may also qualify you for state and institutional aid. “The saying goes ‘the early bird catches the worm,’ and the same goes for the early filer catches more financial aid assistance,” said Kainoa Nahulu, who is helping organize the event and is the Pueo Scholars Program Coordinator. He went on to explain that October 1 is the official open date for FAFSA, and each applicant is timestamped. The likelihood of him or her receiving funding is greater if they apply soon, whereas if someone files late, they may receive a lesser amount. The application form’s questions range from the easy (Are you male or female?) to the more difficult, such as what is the balance of your cash, savings and checking accounts or what are your total education credits. Nahulu advises that participants bring their 2017 personal and parent/guardian federal tax information and their 2017 personal and parent/guardian W-2 information. Today, Oct. 1, is also the day when the University of Hawaiʻi begins accepting the UH Common Scholarship Application for the 2019-2020 academic year. The one application allows students to be considered for numerous scholarships, including those that are not based on financial need or merit. Tagged FAFSA, financial aid, University of Hawaii West Oʻahu, www. Bookmark the permalink.